W07. It sounds so much like the 007. But this is not the secret agent. Just the secret project that might turn the Mercedes AMG PETRONAS squad into world champions once again. The future Formula 1 racer is described by those who put a whole year of their lives building an unbeatable machinery and putting their hearts into it. 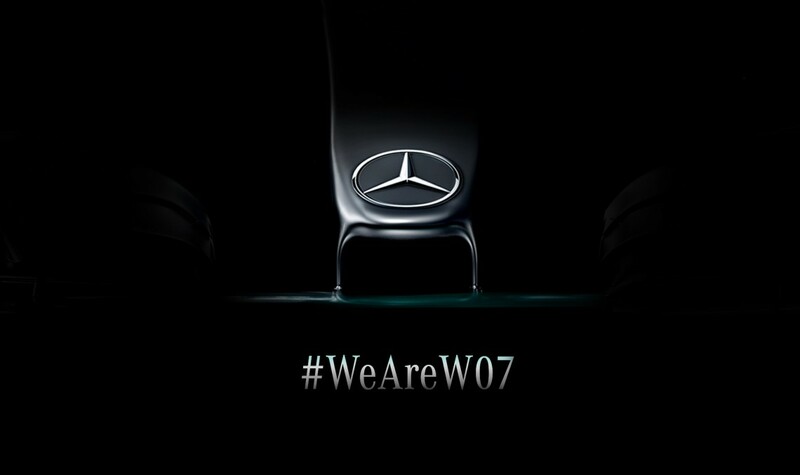 So what is the W07 to those who served it as they would serve a king? The world champion Lewis Hamitlon and the runner up Nico Rosberg show up nodding in the video. They are both ready for the roller coaster ride, after nights of insomnia and days of chasing a new world title. “Together we are W07”, says Toto Wolf. The 2016 FIA Formula One World Championship contender, the Mercedes-Benz F1 W07 Hybrid, takes to the track for the first time, along the Northamptonshire circuit. Driven first by Nico Rosberg, then Lewis Hamilton, the car completed a total of 98.2 km. The team will now ready the F1 W07 Hybrid for its public track debut at the opening pre-season test of the 2016 Formula One season in Barcelona on Monday 22 February. Lewis Hamilton seeks the AMG GT R beast in the jungle! But who’s hunting who?